Hi everyone, this is my first post, nice to meet you all. 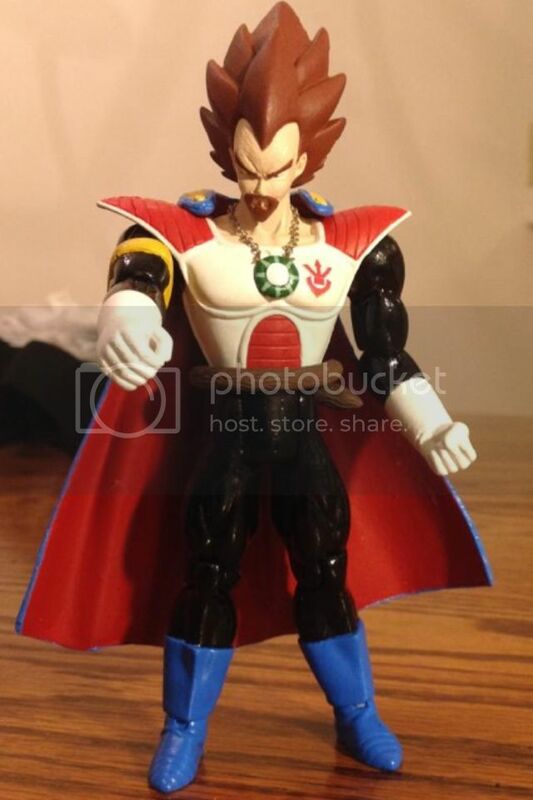 I've bought this figure 2 days ago from a seller in Brazil, the figure is not released here, he surely brought it from somewhere else, I'd like to know whether its fake or not, maybe you can help me out! What made me think this could be fake is the fact that a part of his hair is touching his eye, if you take a close look at his left eye... but maybe thats a normal thing, I don't really know, any insight will be appreciated, thank you all. Edit: I forgot to say that the price has really high, and the seller is somewhat trustable, hes very popular in Brazil, but I still wanted someones opinion. The pics doesn't have a very good quality but it looks legit. My Medicos Goku re-issue came from a Japanese store and one spike of hair is almost touching his left eye also. I think it is how it is, at least the re-issue of the version 1. I feel much more comfortable now. I guess I'll turn the page on it but, before I do, I'd like to know your personal opinion on a matter. Don't you think that his painting is actually too dark? I mean, it's almost like Namekusei had this big sun and he stood there for a week, frying lol.